Michelle is a passionate and self-starting GIS professional looking to change the world with mapping. She works with our Enterprise team, supporting the daily operations of our GEOPowered Cloud. 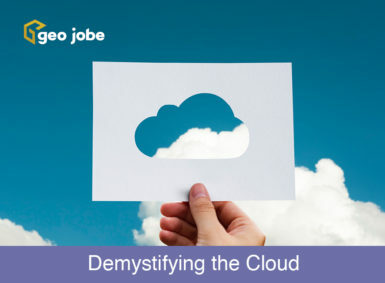 Heard about the cloud, but not quite sure what it is? Storing all your data locally but running out of space? Can’t keep up with the maintenance on your on-site servers? If you answered yes, then utilizing the cloud may be your next step. Are you constantly running through a workflow, wishing there was an easier way to accomplish a task? 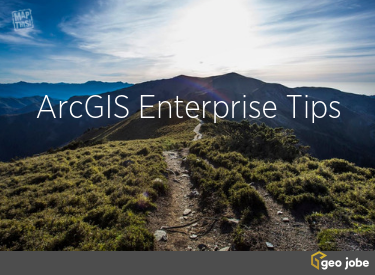 Want to take advantage of ArcGIS Notebooks, but are unsure where to start? 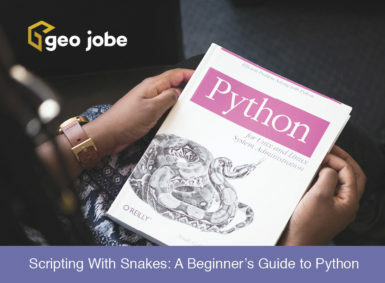 Then Python is for you! 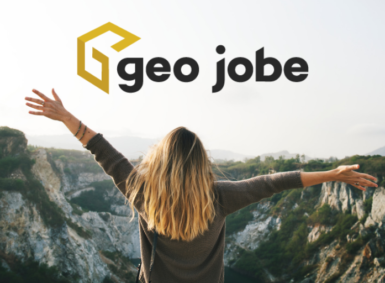 2018 has been an exciting year at GEO Jobe, filled with growth and new hires. 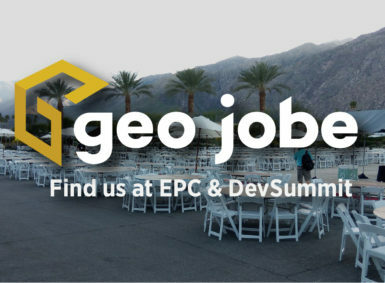 With Esri Press publishing Women and GIS: Mapping Their Stories in the next few months, we wanted to highlight the women who joined the GEO Jobe team in 2018. 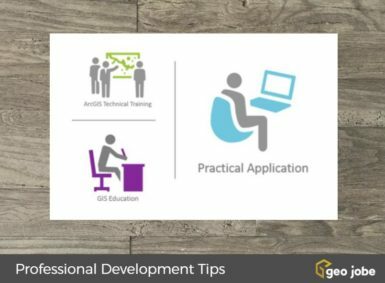 Thinking about studying GIS and not sure where to go? 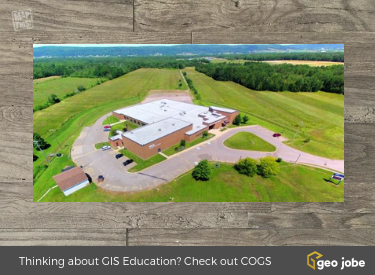 Have you heard about the Centre of Geographic Sciences (COGS)? Read on to learn more about this world-leading educational institution! Is a Centralized Database Right for You? Is your GIS starting to look like your office junk drawer? Stray databases and shapefiles everywhere but not quite sure how to get things organized? Centralized databases might be just the thing to get you back on track. 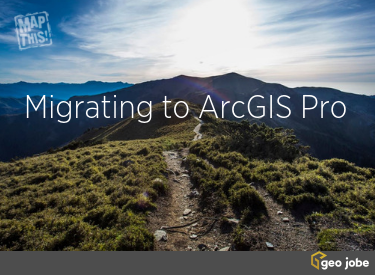 Have you made the jump and started using ArcGIS Pro in your daily work? Are you holding off on migrating, waiting for that last key tool to be added? Staying on top of regular maintenance is important with your car, your house, and even your database. If you are working with your data daily, you want to make sure that it is running at its best. 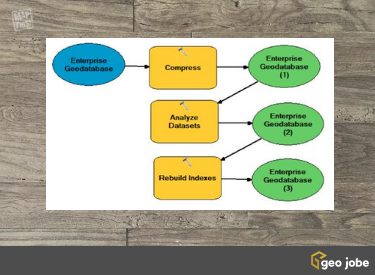 Here are 5 tips to keeping your database running smoothly. Do you ignore the instructions when putting together furniture and end up with extra pieces? While you won’t have extra pieces left over with your Enterprise deployment, you won’t have a fully functioning deployment. Below are some areas where you shouldn’t go rogue with your deployment.